Hi Loves! Happy FRIYAY! I hope you all had an amazing week and are gearing up for a fun weekend. Go ahead an grab yourself some eggnog, turn that Christmas music up and lets talk EASY PEASY Christmas Ornaments. I literally made these ornaments in less that five minutes. They are so fun and modern just like I like the Christmas vibe in my house this year. 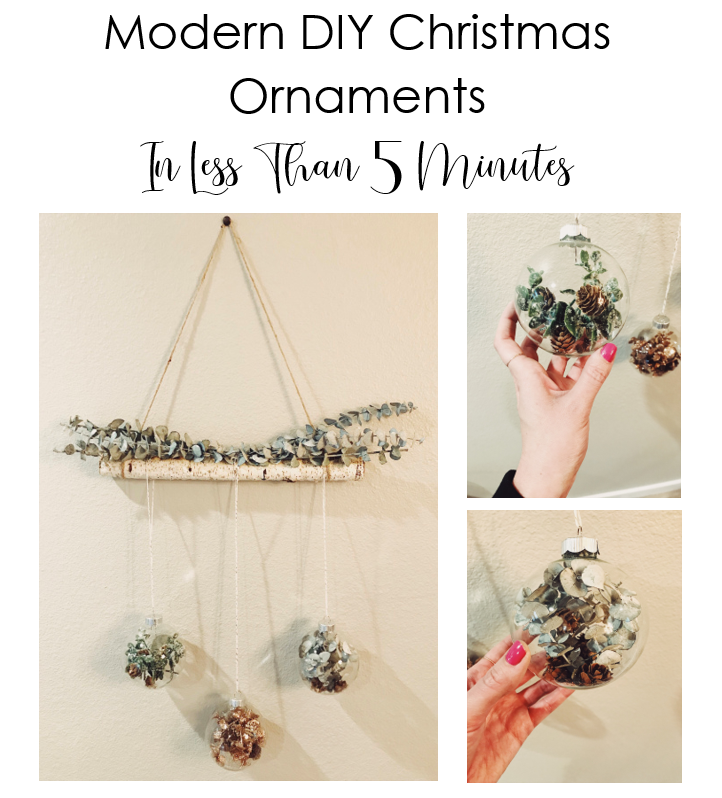 You can put these on your tree or hang them from an old piece of birch like I did. 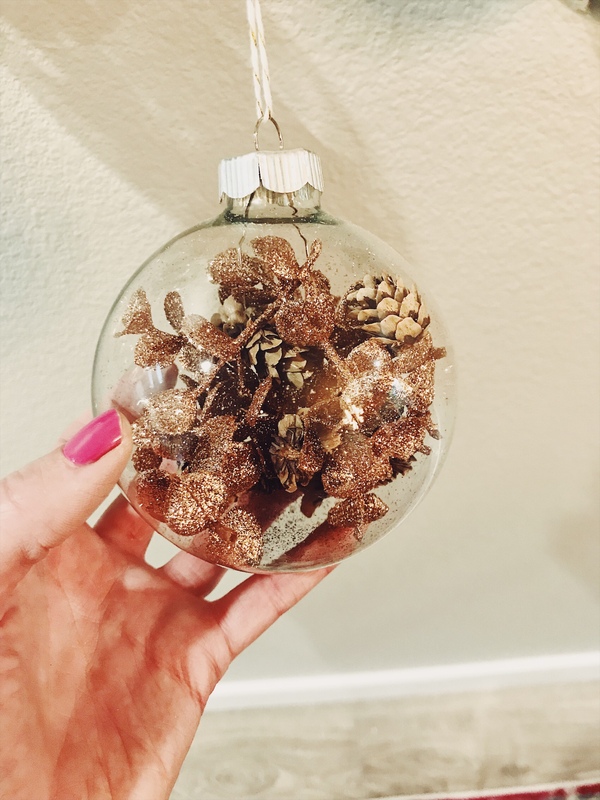 I hope you guys love these Modern DIY Christmas Ornaments that I made in less than 5 minutes. Step 1: Gather your supplies. You can buy all of your supplies from Joanns. They have the best assortment and make every project I make affordable. Don’t forget your coupons! 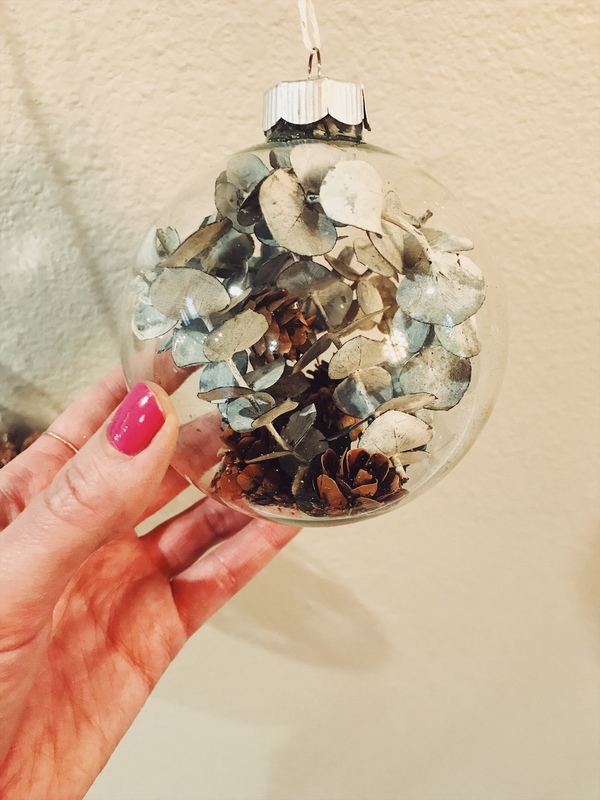 Step 2: Put your clipped Eucalyptus sprigs into your glass ornaments and add your pinecones. I cut my sprigs so they were all various sizes. 4″ seemed to be the best length so that they curl a bit. String your twine of choice through the top of the ornament. 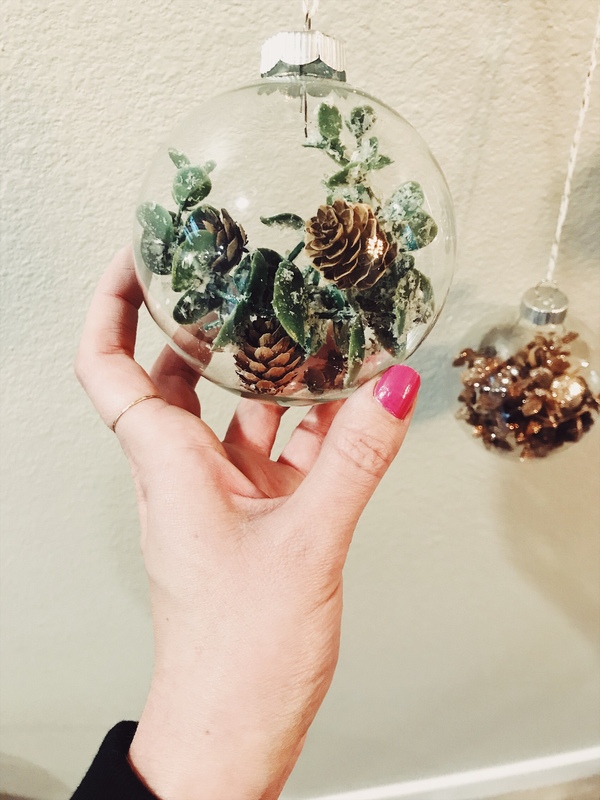 Place these beauties on your tree or you can make a wall hanging like I did instead. These are so simple! 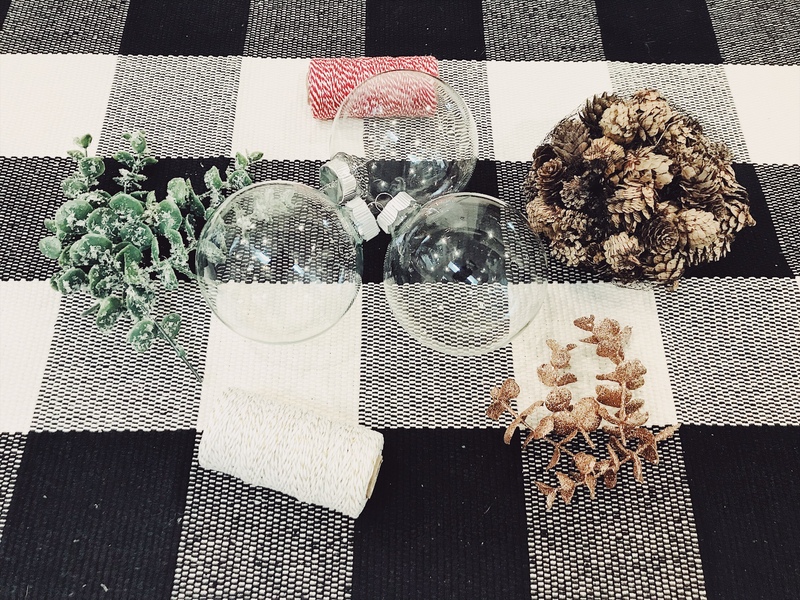 I don’t know about you but I love quick and easy DIY projects that I can do while the baby is napping. It just has to be under 30 minutes for this mamma. I hope you all have an amazing weekend! Please share your pictures of your ornaments with me. I love to see all the beauty you guys are creating. I SO appreciate you stopping by today. It means the world to me when you spend just a few minutes here on the blog with me.